Bee Cee Moh – Ayo [Joy] (Mp3 Audio Music Free Download) - Macmomoh Music recording artist, dynamic worshiper and songwriter – Bee Cee Moh officially releases new single “Ayo” (Joy) following impact on local radio stations to much acclaim. 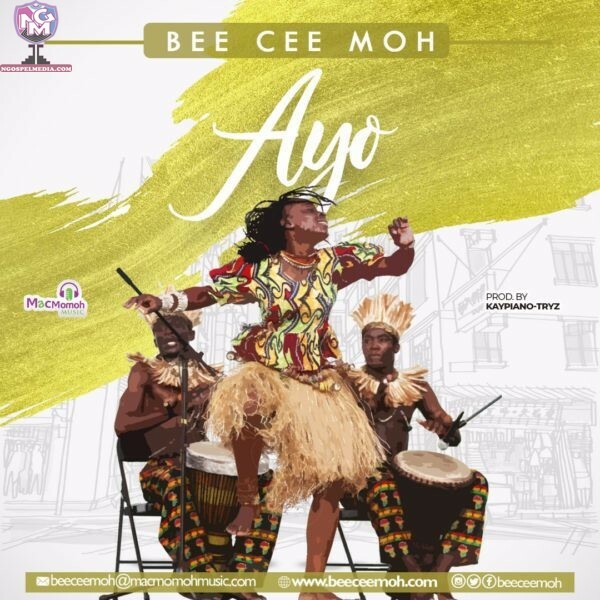 Serving as the third single from her upcoming debut album, Ayo showcases Bee Cee Moh’s versatility as she delivers a traditional sound with modernity. The Percussion-heavy track produced by Kaypiano-tryz, is a prophetic, prayerful and praise song which exalts God’s magnificent power to change any situation for good. Ayo (Joy), sung in Yoruba (western-Nigeria) and English language, follows Bee Cee Moh’s well received singles “Daalu” and “Wo Mi” off the soon-to-be released album. In coming weeks, The Lagos-based anointed minstrel will be revealing more details about her project.